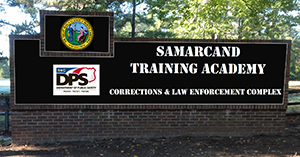 Occupying 430 acres in Moore County, Samarcand Training Academy has provided correctional basic, in-service, law enforcement basic and law enforcement advanced training since Fall 2015. 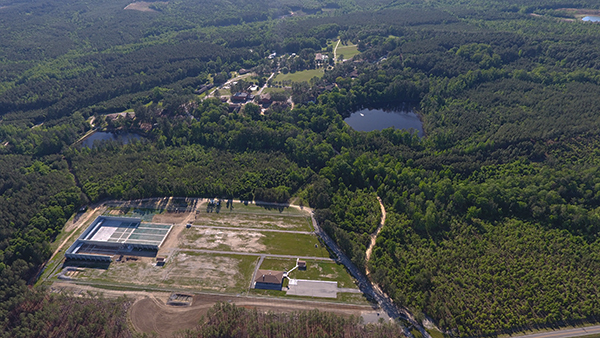 A 2013 North Carolina General Assembly allocation of $10.4 million was used to convert the former Samarkand Manor into a corrections and law enforcement training center for the Department of Public Safety. Fourteen of the 20 buildings were converted during the Phase I construction period. A 2015 North Carolina General Assembly allocation of $2.89 million was used to build the Academy’s Firearms Training Center, with a range house and two outdoor ranges, which became operational in June 2017. Phase II funding in the amount of $8.5 million, for the renovation of four additional dormitories, an academic building, and the construction of a brand new dining hall, were allocated in 2016 from the NC Connect Bond package and construction on Phase II has begun with an anticipated completion date of the spring 2019. When complete in 2019, Samarcand will have 11 classrooms, dormitory space capable of housing 162 students and 10 instructors, a newly constructed dining hall, and a firearms training center with two ranges and a range house. The primary purpose of the academy is to conduct basic training for correctional officers, probation/parole officers and juvenile justice employees, as well as other in-service training. The law enforcement agencies within DPS will be able to use Samarcand to conduct in-service and advanced training programs, while other local, state and federal agencies may also conduct training at the facility from time to time. To provide a training facility that enhances and encourages the ability of the men and women of the North Carolina Department of Public Safety to learn and develop the skills necessary to safeguard and preserve the lives and property of the people of North Carolina through prevention, protection, and preparation, with integrity and honor.